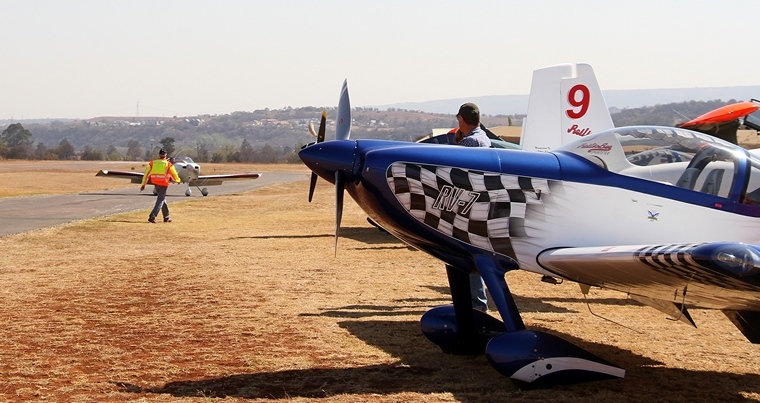 Kitty Hawk situated on the east of Pretoria is one of the best organised and friendliest clubs around. It's imposing thatch clubhouse/ restaurant is a popular venue not only for aviators that flock there on weekends but also for others from the community. 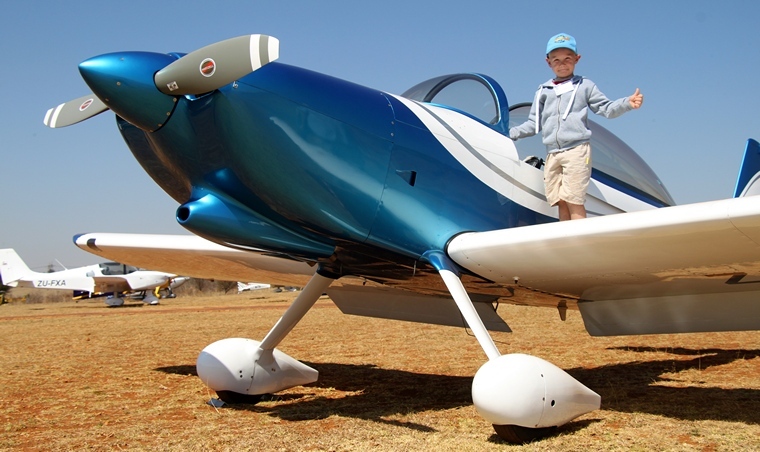 Family friendly, the club's well maintained grass apron offers visitors the opportunity to get close to the large numbers of aircraft that visit whilst enjoying a meal in the open air. Once a year the club organise a fly in open to all but aimed at the Vans RV community. 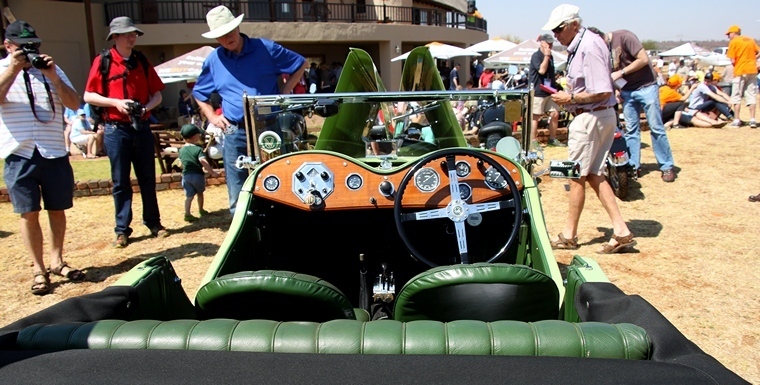 In the past owners of the Lotus Car Club were also invited. 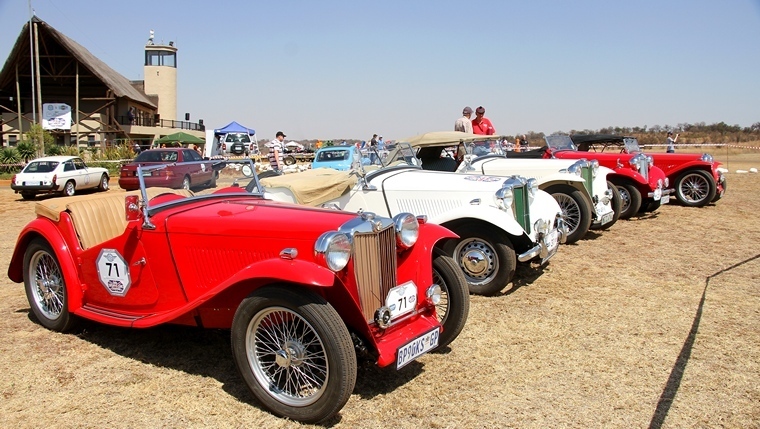 This year they broke from tradition and invited the MG Car Club of South Africa. 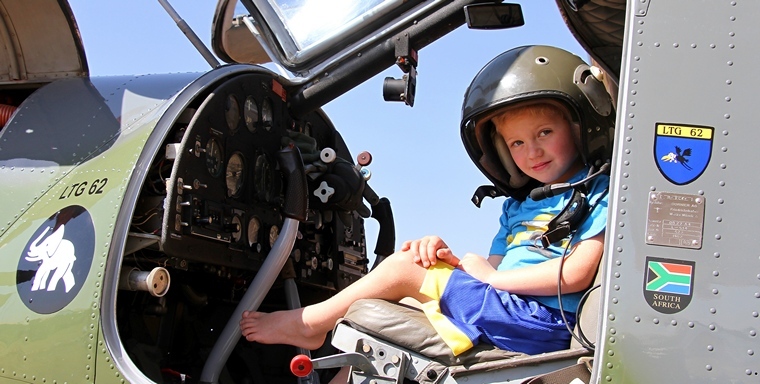 It was the perfect spring day, cloudless sky with almost no wind, perfect for flying and open air driving. 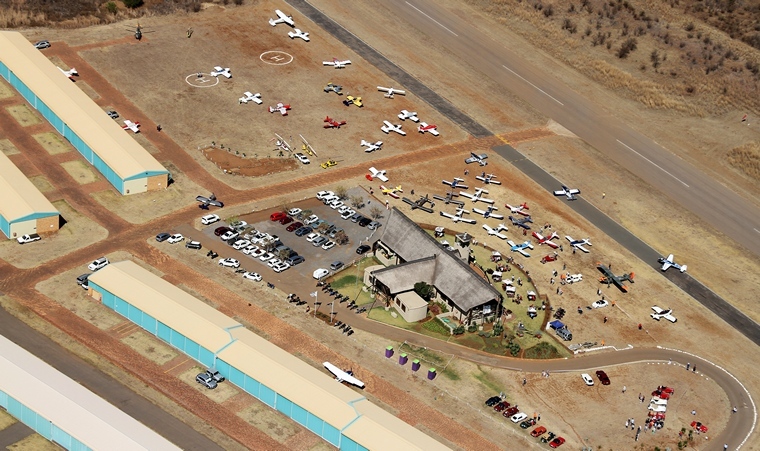 More than forty RVs flew in from as far as Kroonstad in the Free State whilst numerous other types visited. 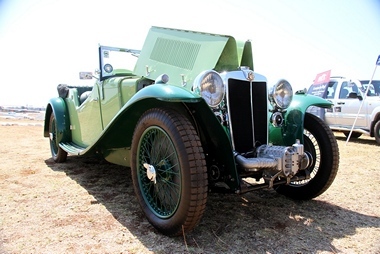 The MG Car Club of South Africa combined centres hold a national meeting every two years, hosted by one of the six MG Car Club centres that are affiliated to the MG Car Club in England. 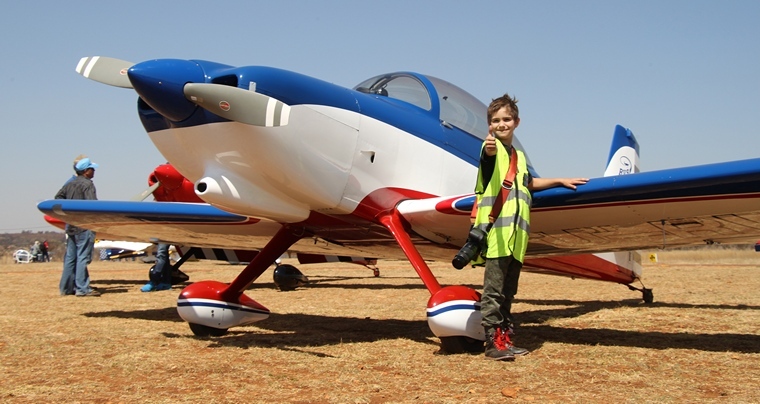 This year it fell to the Northern Centre to organize and it was held at Kitty Hawk Aerodrome with the theme being a throwback to the prewire days when an outing to the Aerodrome was a special occasion and an opportunity to have a picnic. 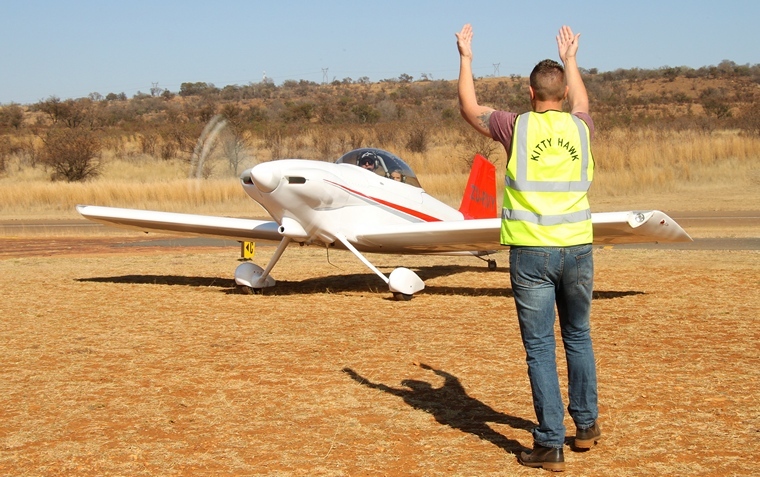 Kitty Hawk was chosen, not only due to its proximity to Cullinan, which was the venue for the Sunday outing but the excellent Restaurant facility run by Wilma Fourie, who ensured the 160 participants at the Indaba were well fed and looked after for the day. 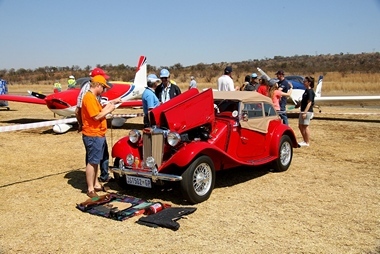 Frank van Heerden, chairman of the Aerodrome suggested we combine our event with RV day, this ensured that the MG Car Club members were treated to a special aerobatic display and the RV members got to see the top four cars in the country compete for the prestigious d'etat prize as best car of the event in their class. 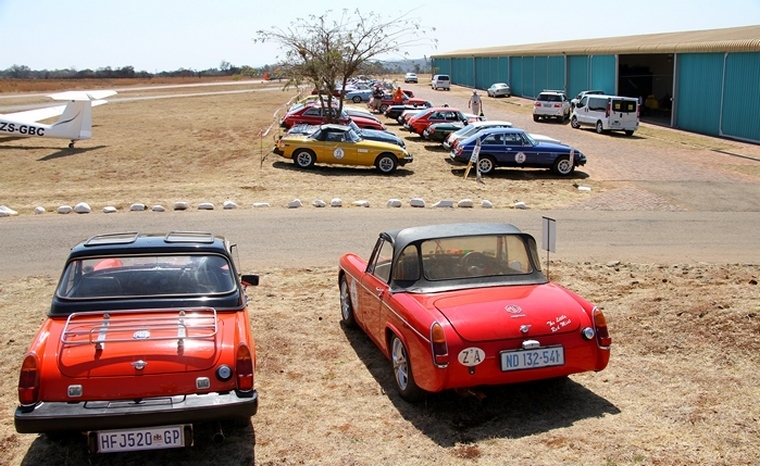 Having driven in from all corners of South Africa to attend this event, the 80 cars participated in driving tests and a treasure hunt rally in the areas surrounding Kitty Hawk. In addition to the 80 cars on the event, there were an additional 20 or so MG 's that arrived as day visitors, swelling the number of cars on the day to well 100 cars. 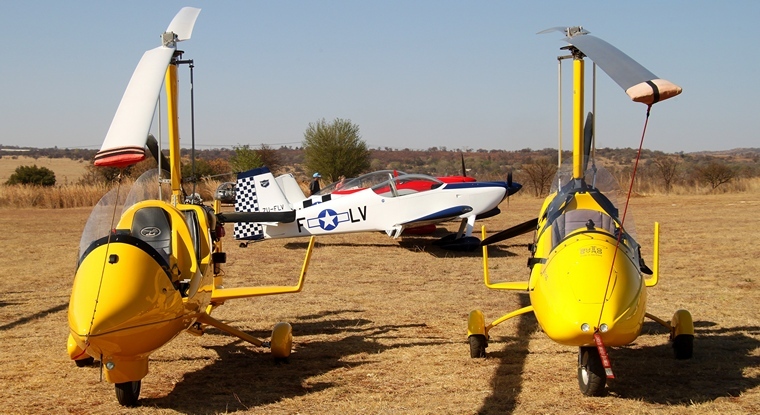 Many thanks to Charles du Toit who kindly flew his Robinson R44 and to Rodney Benn who flew his immaculate Dornier 27 in German Luftwaffe colours for the photo shoots. 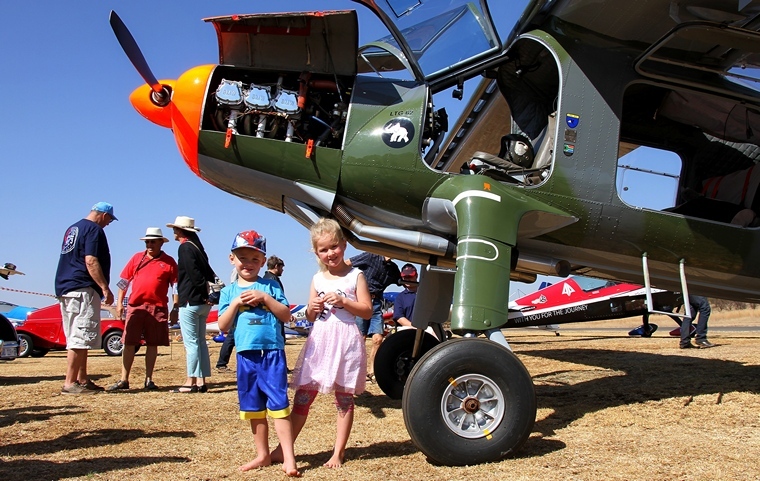 Congratulations to Frank van Heerden and the Kitty Hawk committee for a wonderful, well organised and safe day.